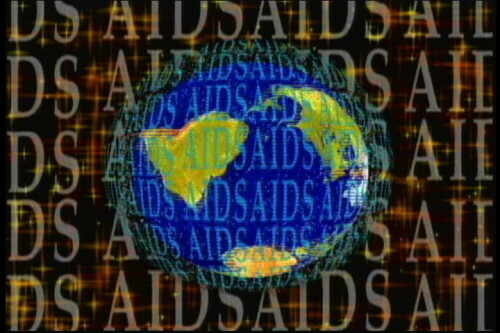 AIDS Has Not Left The Building was originally made in response to a call for submissions for brief projected media-works intended to be shown during Gay Pride Week and on Pride Day. It is a fiftyish-second loop utilizing flashing text and original graphic images, along with two sampled sequences from Paterson’s 2001 videotape Snowjob. This call for Pride submissions centres on the relative silence around the subject of AIDS.